Jab Pyar Kisi Se Hota Hai, is the story of a rich spoilt brat who mends to ways to win the heart of the woman of his dreams. Sooraj Dhanrajgir (Salman Khan), a rich NRI spends all his ancestral money on parties, alcohol and women. His grandfather asks him to return to India for some official work. In Ooty, he sees Komal (Twinkle Khanna) and sweet-talks her into falling for him. Soon Komal sees him for the player he is and walks out on him. For the first time in his life Sooraj is serious about a girl and chases Komal to win her back. Komal agrees to marry him if he gives up his philandering ways and bad habits. 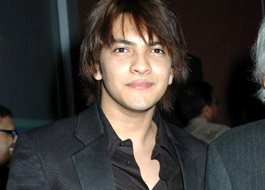 A reformed Sooraj returns home to find a boy, Kabir (Aditya Narayan), claiming to be his son. Sooraj falls into a dilemma of choosing between his son and the love of his life.